Is RPA a testing tool? Is Test Automation similar to RPA? Could Selenium be used for RPA? Does a Robot do RPA execution? How could RPA be utilized in testing? With RPA evolving could testers lose their job? Is RPA based on Agile? 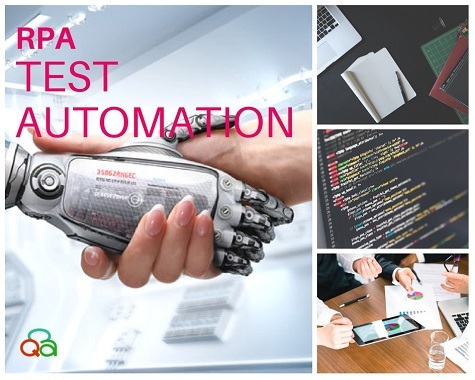 To answer all such questions, we’ve come up with a post to debunk all myths and highlight the facts of RPA and test automation. Let’s get started with an introduction to RPA. What is RPA? What are its advantages and types? The name Robotic Process Automation basically speaks for itself. In other words, RPA is everything that can help you switch from completing the routine tasks manually to optimize the business processes with a little help from the tech world. Automation of any routine tasks where there is no need of intelligence is termed as Simple RPA. For example, Data Entry jobs Cognitive RPA involves human action/command for an RPA processing. For example, using Google assistant to find the shortest route while driving is a case of Cognitive RPA. Ready to speed-up your business process? Overall, these two processes are similar as they both involve automation and offer the same advantages of reducing manual intervention and delivering quality. However, the System Under Automation (SUA) may differ depending on the adopted concept. For example, let’s say, we’re running an eCommerce business, and our main source of income is an online store which can be considered our product. In this example, test automation will be applied only to the product, an online store, and its features. However, RPA could be applied to other business processes like data entry for product descriptions or automating the onboarding process for the HR department when hiring new employees. On the other hand, test automation can be a powerful approach to make your business processes smoother and scale the operations in scenarios where you’re limited in your resources and have to bootstrap your company. As we know RPA is a concept built with the automation in mind but has reached the next level where no or only limited coding skills are required. RPA as a concept could be used to automate anything with no dependency on the target system. So, at the roots, RPA can be considered a testing tool, but at a very generic level of understanding, as an umbrella term. 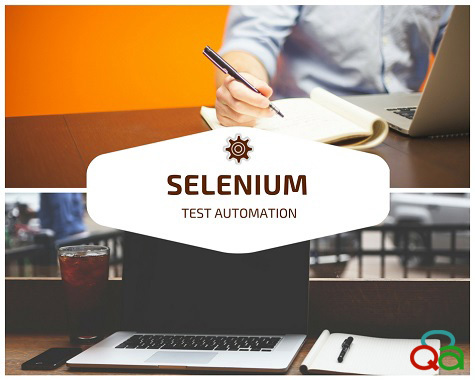 The market is flooded with test automation tools like Selenium, QTP, QF-Test, etc. so could they be used as RPA tools? The short answer is NO, and the long answer is that test automation tools come with a constraint that they need software to run on. At the same time, RPA could be applied to anything except a product. Hence, none of the testing tools available in the market could serve as an RPA tool. This type of analysis builds hopes that the work done would be most effective when done under a condition of human collaboration with machines, so as of now we do not see RPA eating up jobs. Instead, it’s wise to automate repeatable operations previously done by people, so professionals could focus on more complex tasks which require human intelligence. CloudQA is on its journey to deliver quality and reduce cost is in the process of launching its RPA solutions soon. 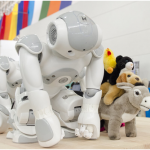 Our miniature robots could work across various industry such as banking, insurance, health or telecom. Our solution will help you in educating, implementing, supporting and maintaining the automation of business processes. CloudQA RPA tool will have such features as easy environment set up, non-intrusive, scalable and, above all, automation of both simple and cognitive business processes. Contact us for more information on our RPA tools. 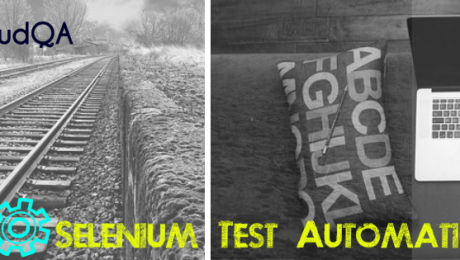 In the meanwhile, we already offer a variety of solutions for testing automation. Our products help business across different industries to scale and automate their QA through load testing, synthetic monitoring, and regression testing. Moreover, with all of our products we work hard to make sure they have the lowest learning curve possible. Which means, that even businesses that don’t employ QA automation professionals can use them. 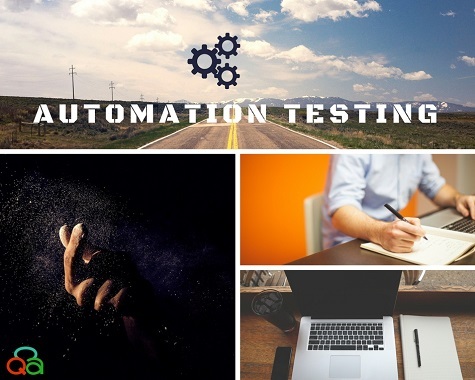 If you want to get started with testing automation today, request a free demo, and we will show you all the possibilities of our testing automation software. Looking for an RPA solution? Web services are those services wherein two applications or software or machines communicate with each other and exchange information, regardless of the underlying structure of the two things that are communicating. For example, if you want your site to display stock prices, you don’t have to go to the stock market and collect the prices to display them. There will be services that give you this information for a fee, and this is a web service. SOAP – SOAP stands for Simple Object Access Protocol. This is a standard protocol that has been defined by the W3C Standard. It is used to send and receive web service requests and respond to them as well. This protocol uses XML formats to send and receive the web service requests. This means that the data is independent of the platform that is used to send or receive messages. It uses a simple http transport protocol, it isn’t blocked by firewall, and the messages are exchanged within the SOAP envelops of the two applications. REST – REST stands for Representational State Transfer. The structure of this runs over HTTP and emphasizes interactions between clients and services. These in turn are amplified by having only a limited number of operations. REST uses simple URL instead of SOAP’s XML, and unlike SOAP, REST applications use HTTP build in headers to relay metadata. Thus, web services implemented in either way provides a continuous connection between two software applications, either over a private intranet or over the Internet. You need to test your web services in order to check the functionality of the service, load aspects of the service, and also to check whether or not it can handle not only one single client, but also is able to manage well when scaled up. Web services testing will make sure that you don’t detect errors too late, which would ensure that you don’t have to make expensive and complicated repairs. When you test your web services, you make sure that not only do you stay one step ahead of possible errors, but also ensure that your system qualities are approved of at an earlier stage of development. 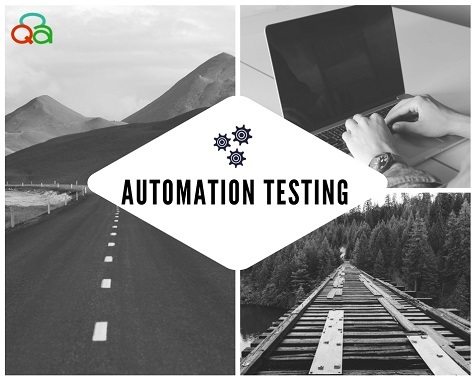 Automated testing is particularly helpful when you take into account the resource and time-saving qualities of test automation, which is carried over here as well. In fact, test automation is absolutely crucial to the web services testing process and provides a reliable and efficient base from which to assess function, performance, and scalability of web services. What Is Included In The Testing Process? Generally, web services testing include generating the coding framework, customized to the web service being used. The tester also has to define all test inputs, including variables and data. Next, the web service is invoked using either the client or the skeleton code. Once this is done, the skeleton code for the response is put in place, and the response itself is verified. Finally, the tester verifies whether or not the response that is received is at all similar to the expected response. 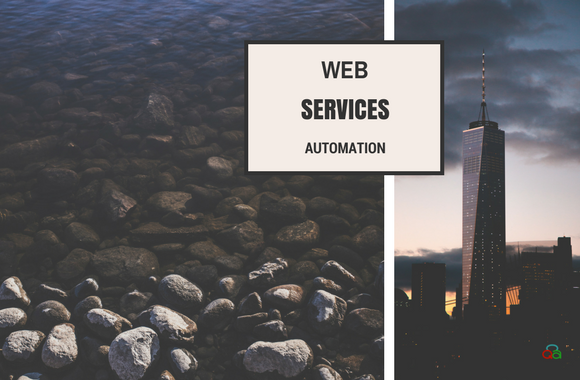 Why Should One Invest In Web Services Automation? Nowadays, tools like CloudQA have made web services testing much easier than before. An integral part of the development process, there are several benefits to automating your web services testing. The frameworks are completely customizable because they are developed in accordance to the needs of the client. The test suites themselves are entirely flexible, and the test cases can be configured to specifications. If you are using SOAP, then the headers and assertions can be set instantly. Whichever way you are implementing, your test script can be created with the least amount of coding, as tools like CloudQA streamline the process for you. Additionally, all XML requests that have inputs are easily and quickly parsed, and there is little to no need for scripting by the final user. Testing automation also improves both the performance of your web services and their reliability. It makes SOAP and REST API-based web services much easier to test, besides supporting test case execution in the cloud. And finally, you also get a fully detailed report of the tests and a detailed test log, both for reference and for later analysis, besides ensuring complete coverage of all your functional tests. With these many benefits, it is no wonder that the popularity of tools like CloudQA is on the rise! As the Agile form of software development is making waves and ruling the roost in the software game, a new player is slowly emerging – microservices. It is similar to the many small iterations that characterize the Agile development module. So what exactly is microservices? To understand this, let us first take into account the two basic styles of software development. First, we have a monolithic design, which is a single application entirely contained in a single process. This sort of application has several groups of classes that are interdependent. Thus, if changes are made to one class, it affects all the other classes. Next, we have the microservices architecture. Here, the application has micro-services that come together to make up the whole or combine their processes to execute a task. Every single microservice has its own specialized, customized responsibility within the application’s structure. They are not dependent on each other, and thus, can be deployed and tested individually instead of having to rewrite the entire application. Microservices have various applications in the automated testing field. Let us first examine testing in isolation. Since microservices are isolated from the application, the entire application need not be changed when you change a microservice, and therefore you can test a microservice in isolation. This is an easy place to start your automated testing journey as it will not affect your entire product, only a part of it. This does not mean that you don’t have to test your entire application after testing the microservice in isolation. You still have to do that to ensure the microservice has integrated as well as its predecessor, but this is very easy and doable to start to the automated testing journey that will save you a lot of time in the development field. In an application that is based on microservices, end-to-end testing becomes complicated. For your end-to-end testing needs, a good idea is to follow the Pareto Principle that states that 80% of the consequences stem from 20% of the causes. Thus, the approach you should take is to identify your core services that are absolutely essential and automate them, as you need the least margin of error in testing there. If you want to keep the quality of your output high, you need to test while in production to end up with the best possible version of your product. Microservices development module is fluid, as every piece does its own work, and behaves in isolation. Thus, unless you test during production, you will not have a clear idea of how the services are interacting with each other, nor will you be able to test this interaction. Another important aspect that you will need to incorporate into your development module is an excellent monitoring and alerts infrastructure. This is because you need to quickly get on top of any issues that might crop up. Since every single service needs to work in order for your product to achieve an end result, you need to be able to identify, isolate and fix any problem that comes up with lightning speed. This is cut down if you have a good testing in production framework that includes monitoring and alerts as well. Finally, if your monitoring and production testing is spot on, then not only will you be able to respond to the issue quickly, but you might be able to devolve to a more stable build even before your users know that a problem has occurred. 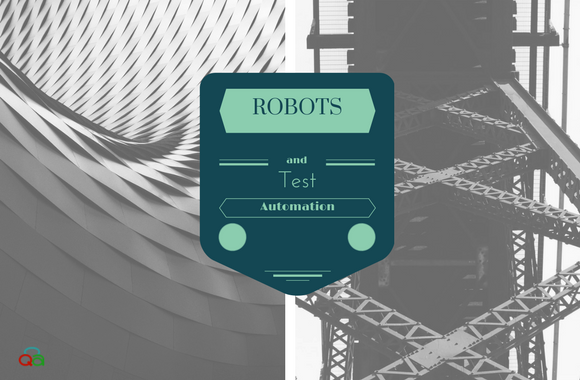 Are robots replacing us & how it relates to test automation? Ever since automation entered the scene, there has been intense debate about machines replacing humans. And it’s easy to see why – machines don’t make mistakes, they don’t crib about overtime, they don’t get tired, and they don’t need to be paid a salary. Considering the capitalist environment that we operate in, it’s not hard to guess why this debate ever came up in the first place. Ever since the first industrial revolution, there has been mass hysteria about machines taking over our jobs. Since the current wave of robotics inch ever closer to AI or artificial intelligence, exaggerated claims of a robot uprising have become excellent clickbait for a ton of internet sites. However, what do the experts say? Paresh Goel is the co-founder and Chief Technology Officer of Career Power, and he is of the opinion that these fears have no basis. While automation has been around for a long time, the pace at which it is happening now is faster than ever. Sameer Bora, Head-Marketing and HR of Next Education says that when automation takes place, some jobs are taken away, but many more are created in its place. If a factory gets a machine to screw caps on toothpaste tubes, they’ll need to retain some of their employees to operate that machine. If certain software development tests are now automated, you need a tester who can write and run the test. He says that there is a displacement of workers that happens, and one needs to make sure that we are ready for the displacement, to keep up with the times. So which are the jobs in danger of being displaced? In short, anything that involves a lot of repetition, anything that is very mind numbing, easy and doesn’t involve an iota of creativity or human input will be automated. There has recently been a criticism of the corporate business model that says that a lot of the hyper specialized jobs that are given to people have no intrinsic value, and are detrimental to the personal growth of the people who have them. These employees end up feeling frustrated with their pointless labor, and the criticism linked this to the rising prevalence of depression in the current population. Will a bot steal your testing job? Software development teams in today’s world demand weekly releases and updates that can be released as soon as they are developed. Scheduled product releases are not a a norm anymore. With ever changing demands of software development, testing teams also needs to align with company objectives and should undergo the same changes. World Quality Report 2018-19 says that quality assurance and testing teams are focused on improving customer satisfaction and end user experience hence driving business outcomes. Since expectations are changing, the way testers perform their day to day job also needs to change. That leads us to vital question, will machine learning and AI significantly alter software testing and wipe out testers? Heavy reliance on technology for repetitive jobs while people focusing on value creation activities is speeding up. Because most of the testing tasks are repetitive, I believe AI can be used in those areas. In order for AI to train itself and perform complex tasks, testers need to deliver smarter insights. Exploratory testing will continue to be an integral part of testing and AI might find it difficult to replace. How does future look like? 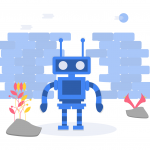 World Quality Report clarifies that there are enough opportunities for testers willing to embrace AI, which will lead to a proliferation of new roles, such as AI strategists, data scientists and AI test experts. 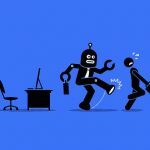 Keeping the criticism in perspective, automation of menial tasks will lead to creative, meaningful opportunities being made available to a lot of people. One effort that employees will have to put in is that they have to keep learning new skills, and they will have to keep abreast of new developments in their fields. The old model of earning a degree or two and landing a job is near obsolete. Now, you’ll have to stay ahead of innovation, of development and you will have to keep learning. Are robots taking our jobs away? Partly yes, they are. Is that entirely a bad thing? No. What automation is doing is that it is creating opportunities for humans to apply their effort and time in more fulfilling, productive ways. What automation is doing is evolving our work culture, just like we ourselves have evolved over the years. Automation is simply the way to a brighter, happier future. And no one should be scared of that. We’ve explored the bumps on the road that you’re likely to run into in your journey with test automation. This article is targeted to help you avoid them. We’ll recap the problems for those of you who missed it, (those interested can read it here[hyperlink]), and move on to the measures you can adopt to overcome them. The first problem that we had mentioned was about preparing the database. One approach to fix this is effective communication. Why? Because users and contributors outside the project don’t know what the project goals and aims for test automation are. This gains importance when you don’t have your own database in a CI environment. If you’re using a shared environment, check if its possible to demarcate a certain set of data to be used only for automated tests. In setting up the test data, you could also run into the problem of the data set getting invalidated due to system changes. Often, finding a solution that fixes all your problems is impossible. If the changes that might take place in the external systems that you’re using aren’t happening very frequently, then a good choice would be to use a reproducible approach when generating valid test data. If you’re creating your own data sets using the own application and then using the same data for further testing, you’re going to run into problems. Doing this means assuming that the SuT will be able to create everything required, which is rather fallacious in most cases. Also, the tests stand to become unstable and slow if and when large data sets are used. When those tests fail, there is no way to know if other parts of the application are working as they should. These and more are the dangers of not using a reproducible approach when creating test data. It might be a little bit of an effort, but not having the test delete the data and ending up with dead system data is, in our humble opinion, worth every bit of it. The second problem was accessing the CI server. This isn’t, unfortunately, a problem that you can do much about. If you’re a small organization, then it’s easier to fix. Communication is key here, as the system guys will be able to help you solve it. Generally, nagging the tech team until you get access seems to be the most used approach! The last problem that we covered in the first part of this article was web application testing. The solution here usually depends on the environment the project is based on. 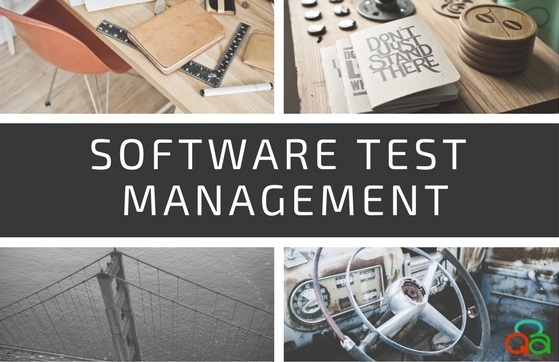 If you really want to avoid as many problems as possible, it’s best to plan from the ground up and choose your software environment keeping test automation in mind from the seed stage level. When looking for solutions to this, people often overlook cutting down on the number of GUI-dependent tests. It’s not as easy to get to the service layer directly, and oftentimes the GUI is reused in this regard. However, implementing specific tests with service-layer access works out much better in the long run because you end up with faster, more stable tests. This doesn’t preclude the need or the option for GUI-based testing. However, try and separate the service-layer-based tests from the GUI-based tests as much as possible. You need to write tests that can be easily maintained when the number of tests increase and making them inaccessible to changes in the SuT as far as possible. It will be near impossible if you have a disorganized and not-well-planned approach to both writing and maintenance. The only solution is to have them planned as part of the project, and not added on later as a minor task that needs to be completed. Test automation should be part and parcel of every software development plan that comes up. With the popularity of test automation rising every day, solutions like CloudQA should be explored and incorporated during the skeleton planning stages of software development. It is an extremely integral part of software development, not just a fad that is catching on. Consistently repeatable results rely, to an extremely large degree, on the data that you use in your database. If you run into problems and suspect it’s a flaw in your data, it might be because you’re using a system that is different from your testing framework to set up the database in question. Additionally, many people use alien database contents which are outside the influence of the reach of their own project. Some projects may also have no dedicated databases used exclusively for automated tests. Manually entering the data stands to disrupt your results, and the testing process itself could end up corrupting data from other users on the same system. Finally, finding and setting up proper test data can be a tedious and difficult process. However, not putting in the effort could result in having to expend even more time and effort when things go awry. The CI or continuous integration environment is an integral part of all testing processes, CloudQA included (?). However, problems with access do occur. Oftentimes, developers responsible for performing configuration tasks don’t have full access to the system. Access can also be hampered if the same server is over-burdened by too many projects, slowing it down and even negatively impacting other projects on the same server. Selenium-based servers are especially prone to this. Another potential problem one can run into is not being able to access all parts of the system simultaneously. This is important, especially in cases of manual testing where multiple parts need to be accessed to effectively reproduce errors in the system. Web application projects rely heavily on test automation nowadays. In these projects, often the test is rendered unstable, and the results vary widely even when the SuT (system under testing) has not been changed from one test to the next. If the SuT is based on a web framework that is hard to test. For example, some web frameworks change the id-values of HTML elements in every instance of someone accessing a page – variables like these will affect your test results. Frameworks like AJAX are also hard to test. 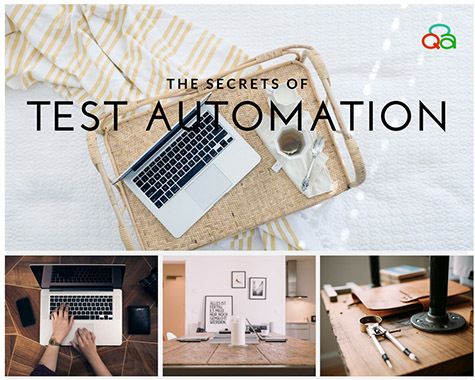 Testing automation saves you time, money and effort – if set up and run correctly. Often, people fault a system for not performing when in reality, the problem usually exists between the chair and the keyboard! It helps if you are aware of the potential problems that might arise on your journey with test automation so you can be prepared for the complications you might need to untangle. So how do you deal with these problems? Tune in to our next article, How to get rid of problems of automation testing, to find out! Bigger, Better And Faster – Your Favorite Testing Software Just Leveled Up! CloudQA is committed to offering its clients the most advanced and the most efficient technologies. We spend a lot of time and effort in R&D, and try to bring the most stable and effective strategies to the market. We know the value of your time and money, and don’t skimp about features and capabilities. Keeping that in mind, we’ve been working our butts off to bring you even better features in your favorite testing software. Now, using CloudQA, you can customize your execution by recording steps updates! We’ve given you a lot of control over this, and you can now define the speed of execution steps on the basis o your application being tested, and set element wait time at the application level in your app preferences. Besides that, you can now begin your testing before the UI is developed, saving everyone a lot of time, and hastening your software development process. You can test “get”, “post”, and “delete” HTTP requests easily, as per your requirements. You can also save the API test case, and even reuse them when you need it next. You can also add assertions to confirm the response of the API, and view the response in both raw and JSON formats. Additionally, you can add parameters and headers based on the API you are currently using. Finally, CloudQA has made monitoring your web application so much easier, it’s child’s play! You can check your URL every 5 minutes (free of cost, we might add) and upload all your URLs in a .csv file. You can test your website’s performance, and view up and down times of your website in both heat map and graph formats. Finally, we’ve also made sharing reports with your team members much easier with shareable links that improve team communication efficiency! Phew! That’s been a lot of work. But, as they say, no rest for the wicked! We earnestly hope you like all these new updates we’ve rolled out for you. Get in touch if you have any queries about these or any other features of the site, and we’d be more than happy to help (In fact, get in touch with us anyway, we love feedback and communication!). In the meantime, we’ll be over here working on getting you even more awesome new features and updates that will help you get your work done faster, more easily, and more efficiently! For now – that’s all, folks! Test automation isn’t the easiest process to deal with. It’s often technical nature, and oft-touted miraculous results lead to a lot of miscommunication and expectation management issues between supervisors and engineers who actually have to work the test. Expectation management is an especially crucial aspect, because both the engineer and his or her supervisor needs to be clear about test automation is, and what it can or cannot do. Now, one of the easiest ways to clear the debris of past expectations is to know what exactly test automation can’t do. This might seem like a redundant exercise, but you’ve only to look at the impact of negative spaces in marketing to realise the importance of this exercise! So, getting down to the meat of the matter, here are some of the things that test automation doesn’t do. It isn’t a magical cure-all. One of the main problems with test automation results is that supervisors tend to rely on it to fix all their problems. Reality? It won’t. It isn’t a substitute for bad coding, it won’t be a balm to slow progress and it certainly won’t make a bad piece of software a good one. It simply tests if the work you have done already is stable, and works as you have programmed it to. it won’t fix your UI for you, nor will it make your code stable. You can’t run your code through a program and have it magically fix everything. If that existed, most developers would be out of jobs! The closest you can get is in cases of stress testing, regression testing, and performance testing. Even there, you’ll still have to fix your foundations yourself! It isn’t a fix-all alternative to manual testing. Web test automation has a ton of uses and is useful and beneficial to use in a ton of situations. However, there are still some things you need to test manually. For example, test automation won’t tell you things about subjectively human experiences like the feel of a particular software, or its ease of use. The user interface is a particularly tricky area. If you automate too early, and your user interface undergoes massive changes, your costs for script maintenance will go up exorbitantly. Thus, even if you invest in a good automation setup, don’t expect to cut out manual testing altogether. You still need it for areas like UI, installation, compatibility, recovery, and documentation. Different automation tools don’t solve your automation problems. This is quite a common practice, especially if decision makers don’t fully understand the limitations of test automation. If you are repeatedly running into issues with your test automation software, the problem isn’t the software, and changing it will achieve nothing. You’d be dumping more money into what will ultimately turn out to be a failure. For example, a lot of people automate too early. As laid out in point 2, your script maintenance costs skyrocket when you test an unstable UI. This would lead to a lower ROI, making test automation too expensive to maintain. The problem lay with your usage of the software, though the blame was carried on to it. Thus, you’d be much better off researching into why your framework isn’t giving you the results you want, instead of blindly jumping boats. It isn’t quality analysis. You need your developers, your engineers and coders to build and maintain your test automation. Test automation deals heavily with the technical aspect of your software, and you need your technical team to be on top of it. It isn’t a part of the quality analysis, it is part of your software development. This fundamental misunderstanding is why most people run into point number 3, above. Save yourself and your project time, and don’t confuse the two. Test automation software will only check for problems that you know you will have. It is an automated software but lacks the creativity of a manual tester or a quality analyst. Even if you have a test automation suite at your fingertips, you can’t conflate it with quality analysis or a quality analyst. Humans may make mistakes, and software may be precise, but humans have access to the one thing software doesn’t come prebuilt with — imagination. Unit testing doesn’t replace end to end testing. If you’re looking at unit test automation to replace end to end testing, you’ve taken a wrong turn somewhere down the road. Unit testing has its place in the Test Driven Development process, but it will not help you with regressions or with finding bugs in your code. A whole team of well built and well-designed unit tests is an amazing resource to have, and you should invest both time and money into acquiring that. But without end to end test automation, you will run into the Voldemort of the testing world — regression problems. A unit test will check only one part of the code to see if it is functioning as it should. And out of context, this could seem fine. And then you run into the big R word (regression), and you’ll see why an end to end testing is essential to your overall test automation framework. Test automation refers to specialized software that makes your life much easier. Instead of overworked software engineers looking through a hundred screen and trying a hundred different input combinations manually, you just run the web test automation software, and voila! You know what problems are cropping up, why and where, all at the click of a button. There are two broad approaches to test automation – GUI testing, and API driven testing. GUI testing, expanded to mean graphical user interface testing, measures things like keystrokes and mouse clicks. This is done to validate the behavior observed and ensure the program is running correctly in relation to these events. It mimics human behavior and mimics how a human would interact with the program, which is only limited to the interface. GUI testing finds bugs early and is a very easy way to conduct regression testing as well. API driven testing usually bypasses the application’s user interface and uses an entirely programming interface that validates application behavior. 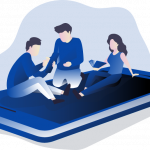 Thus, it is a program that checks how the project under consideration interacts with other software, so that end user experience is not hampered. API testing checks compliance, security, and functionality issues. While these are the traditional approaches, unit testing, i.e, testing of small blocks of code using xUnit frameworks, is a must in agile development. A unit is the smallest part of the program that can be tested and is extremely useful as these form the foundations for component testing. Test automation is an extremely important part of any software development. It saves time, and it saves money. Manual testing may take days to set up, and days to execute, and even then, it isn’t 100% accurate. These tests are done repeatedly during development and may extend project timings for weeks. 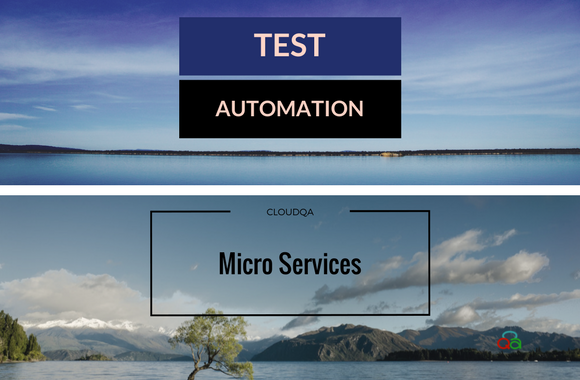 With test automation software like CloudQA, you can have tests and results ready in hours. To err is human, and humans definitely make a lot of errors. Manual testing, thus, is inherently flawed. However good a worker you may have, he or she is going to make mistakes. You can cut that margin of error down to 0 when you used automated software, and you’ll get detailed, flawlessly recorded results at the end. All tests have meticulous records attached, so you can go over your mistakes in-depth to understand what went wrong better. Additionally, test automation software can simulate hundreds or even thousands of users, which manual engineers cannot. Many test automation frameworks don’t even need much technical know-how to operate and reduces stress on the software development side as well. 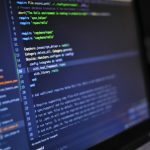 Knowing what and when you need to start automation will go a long way in helping you develop your software. While test automation plans need to be meticulously planned out, a good rule of thumb is to start early and do it as often as you can. Going for test automation early on in a project helps because one, you get a stable base to build your program, and two, small errors in code at the beginning of the project are both easier and cheaper to fix than reworking your entire code from scratch. When chalking out your testing plan, do not forget to include functional unit testing to ensure a bug-free end product. When deciding upon your time-frame for web test automation, there are a couple of pointers you should keep in mind. Test when you feel there is a lot of regression work to be done, when you need to check the load capacity of your software, and when your GUI remains the same, but the functionality of different aspects has changed. Testing automation software has changed the way software is developed and maintained in the world. It is more reliable than manual testing, and saves a ton of money and time, leading to faster, more efficient and easier to use software that has defined the market in recent years. 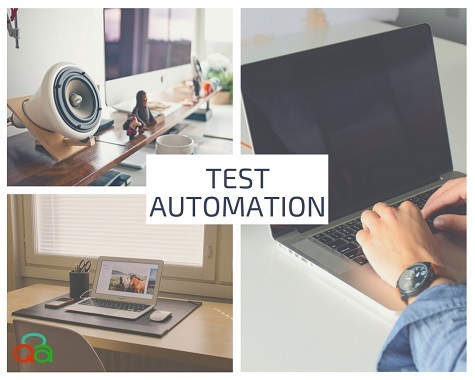 If you’ve been having problems in your code, and if your engineers are overworked, if you’re getting closer to your deadlines with a bigger, and bigger workload – testing automation is the right choice for you! · Test Cases which are important to be repeated in every release cycle. · Test Cases which are time-consuming & tedious to execute manually because chances of human errors are high in this case. · Test Cases which are High Risk or Business Critical. · Test Cases which are not easy to automate. The effort will out weight the returns in this case. · Infrequently executed test cases. · Test cases where human intervention is a must. Approach the design, implementation, and maintenance of your test suites with the same engineering and craftsman mindset you approach the design, implementation, and maintenance of your system’s data access layer, business logic layer, etc. If you’re not already familiar with the SOLID principles authored by “Uncle Bob” Martin, then take some time to read up on them. These principles are targeted to developers writing systems; however, the same principles apply directly to testers writing automation suites – if perhaps not quite to the same degree. While I try to pay attention to all the SOLID principles in my test harnesses, I find that the DRY principle (Don’t Repeat Yourself) is especially critical for keeping my sanity as I build and maintain test suites. If you’re going to pick up one new thing about software engineering or craftsmanship, learn to love DRY. DRY means avoid duplicating things in your test suite. One example of duplication in a test suite include having your element locators (IDs, CSS class names, XPath definitions, etc.) defined in more than one spot. Another example would be having every test perform the same steps to log on to a system. This sort of duplication doesn’t seem like an issue when you have 20 or 50 tests, but wait until your test suite grows to hundreds or thousands of tests – and then go try to fix failing tests when (not if!) your UI or system flow changes. Duplication of this sort crushes the maintainability of your test suite over time – you spend more time fixing broken tests than you do deliver great value elsewhere. The above guidelines if observed can greatly help in making your automation successful. Did you Know? If you have chosen CloudQA to handle all your web-testing, you don’t need to plan anything about scripting as it is codeless and keep your tests DRY, making it easier to maintain your tests. CloudQA magically runs all your test cases exactly the way you have recorded. Obviously, it saves you lots of money as well as resource time. You get more bandwidth to focus on important things to develop your product to beat the competition!! !